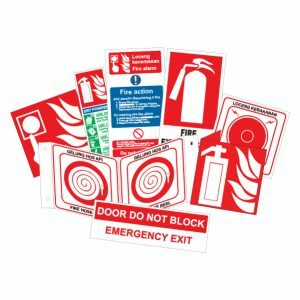 Wide range of safety signage & labels for industry, commercial and home! Safety floor sign and many more. 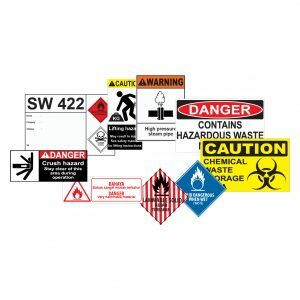 Our signage comes in bright colours, bold text and attractive pictographs. This is to make certain that the communication is highly visible and clearly delivered. 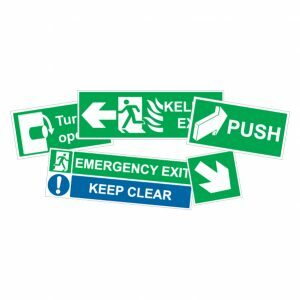 In addition, we fabricate our signage and labels in such that they are able to withstand harsh industrial or factory environments. 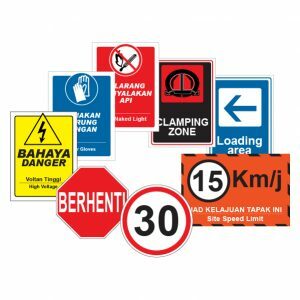 For instance, our signs and labels are made using HP printer. Consequently, due to the non-toxic wated-based latex ink that we use, our prints are odourless, more durable in outdoors, higher quality as well as environmental friendly. Likewise, we have employed technologies from esteemed partners such as Summa, Graphtec, Caldera and others to provide premium quality signage for our customers. Nonetheless, don’t worry if we have not listed the choice you want on our site. We also provide custom printing, in which custom made sign with your desired messages and artwork (such as company logo) are possible. So contact us and we will advise you about the customization accordingly.